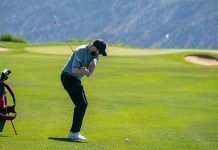 Unless your name is Callaway, TaylorMade, Ping or Titleist, it’s a tough task to make hay with drivers and fairway woods. The same can be said for irons, though Mizuno Golf would be on that list, if not at the top of it. Mizuno, of course, is revered as an iron company. One built on uncompromising quality, with clubs that look, sound, feel and perform as good as anything out there. Mizuno could be considered the gold standard others emulate with their irons. When it comes to woods, there’s a different narrative in place. Mizuno’s sales are a fraction of giants like Callaway and TaylorMade. And although quality is on par with its irons, a lag in the areas that count has kept Mizuno stuck in the review. The new Mizuno ST190 drivers and fairway woods look to change this tune in a big way. 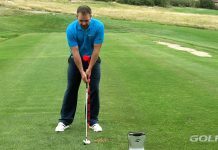 The major tenets of a driver or fairway wood’s characteristics could be separated into a few different buckets: sound, feel, look, speed and spin. 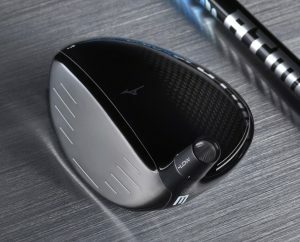 The new Mizuno ST190 drivers and woods, however, have flipped the script. 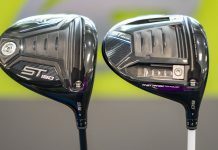 The ST190 and ST190G drivers sound and feel MUCH better, have improved looks and will surprise many that have hit Mizuno woods before with less than positive feedback. The same can be said for the ST190 fairway woods, which sound, feel, look and perform on par with the drivers. With a fully reworked product line in place, Mizuno hopes to dramatically shift its position in the marketplace. But will ST190 compete with the likes of the Callaway Epic Flash and TaylorMade M5/M6? Probably not. That’s also not the point. Remember, Mizuno is a company that refuses to compromise. It lives off of irons, but the ingredients are now in place for woods to make a bigger impact. 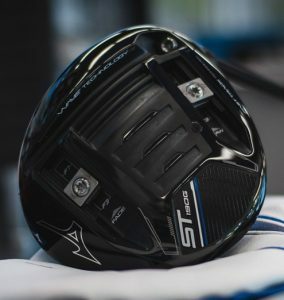 So, while Callaway and TaylorMade may still dominate, ST190 will catch the eye of more golfers than before with a statement that Mizuno can tee it up with anyone. Demo and purchase the Mizuno ST190 driver and woods line at GOLFTEC! 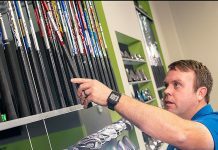 GOLFTEC VP of Club Fitting and Merchandise, Mike Helfrich, and I got an early look at the Mizuno ST190 drivers and woods while visiting GOLFTEC Fox Creek in Atlanta. 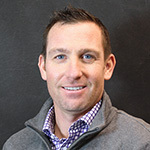 Working with Mizuno engineer and brand manager, Chris Voshall, our reaction was noticeable as soon as the headcovers came off: no more Mizuno blue. The royal blue color way of Mizuno woods has been intrinsic to the company’s heritage. But, for for many consumers, it hasn’t resonated. So the unveiling of a new, glossy black finish and visible carbon crown was a welcome sight. 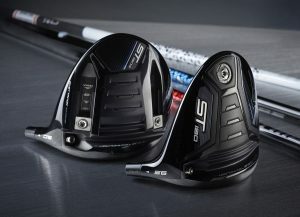 The ST190 driver line has two offerings: the Mizuno ST190 driver and Mizuno ST190G driver. Between the two, ST190 has less adjustability than ST190G, but due to a 6-gram tungsten backweight it retains more MOI for forgiveness on mishits. ST190 is also geared to launch with mid to low spin, while ST190G’s Fast Track adjustable weighting system and twin, 7-gram weights create the ability to keep spin as low as possible. Both drivers showcase Mizuno’s Amplified Wave Soleplate, which consists of a ribbed, slotted design that helps the new forged, SP700 CORTECH titanium face flex for more speed and spin control on mishits. ST190’s new carbon crown also saves 7 grams of head weight, which has been redistributed elsewhere to further help optimize speed and MOI. 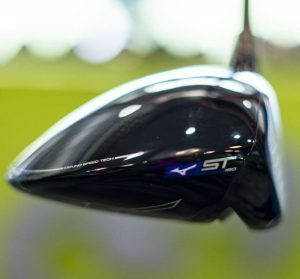 The Mizuno ST190 fairway woods retain a lot of the same characteristics as the drivers. Available in an adjustable TS 3-wood (13 to 17 degrees), fixed-hosel 3-wood (15 degrees) and fixed-hosel 5-wood (18 degrees), the fairways employ an HT1770 maraging steel face instead of titanium. ST190 fairways also have a deeper face than their predecessors, which creates more speed while working in conjunction with the new carbon crown and Wave Soleplate to keep spin down. Shaping for the Mizuno ST190 line has improved as well. Mizuno woods tend to have a more rounded look at address than many others, and while this hasn’t changed much with ST190, the black/carbon gloss combo makes the back of the head fade and create a softer, more pear-shaped look at address. 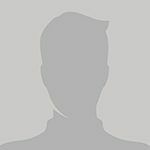 The enhanced looks alone of ST190 should increase its attractiveness to the consumer. Looks aside, the performance of these clubs is what was most surprising. Gone is the loud, high-pitched “clank” of past Mizuno woods. As you can see with the driver fitting Mizuno’s Bill Price gave us in the video below, ST190 has the performance to back up its looks. Sound and feel are MUCH more powerful than the ST180 line and JPX900 before that. And while the ST190 and ST190G drivers are still on the higher-pitched side, they have more of a muted and crisp “crack” to the hit. As far as speed and spin, well, that’s saving the best for last. Because a major area where Mizuno couldn’t hang (especially for players that struggle to keep spin down) has been rectified. 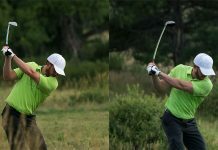 The numbers we got on the launch monitor – Helfrich with the ST190 and me with the ST190G – were right on par with, if not better than, drivers getting most of the attention in 2019. It also didn’t take long to optimize our setups, which is a positive sign of a driver’s worth. That’s a quick guide, by the way, to understanding how well a driver performs. 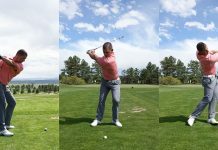 If you can get great ball speed right away then optimize launch and spin with a few adjustments, you’ve got a great club on your hands. Some drivers, no matter what configurations you try, just never quite get there. 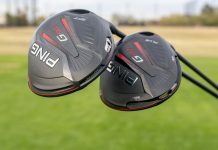 Finally, while we didn’t explore the ST190 fairway woods to the same degree, I can attest the deeper, lighter heads provide more of a piercing ball flight that their predecessors with better spin characteristics. 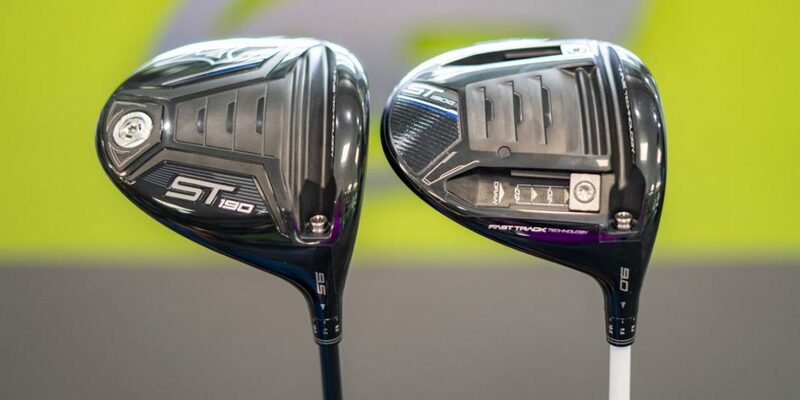 Overall, the ST190 fairway woods compliment the drivers nicely. 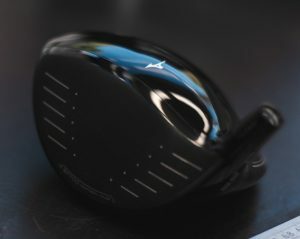 The story with the Mizuno ST190 drivers and woods is simple: They’re A LOT better than anything Mizuno has ever designed. 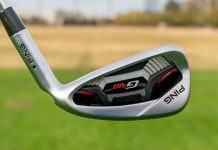 A company previously focused on irons only has now taken the same, spare-no-details approach to woods for the first time ever. As a result, the sound, feel, looks and performance of ST190 can compete with anything out there. So, if you’re in the market for a new driver or fairway wood, do yourself a favor and test these clubs. You may still find Epic Flash or M5/M6 is the right choice for you, but you may also fall in love with a line of woods from a company that surprises you. Maybe the Mizuno ST190G driver can add another 10+ yards to my drive!! 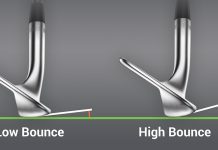 The clubs look like they can really improve your game. This driver would be a nice complement to my JPX-900 tour irons! ready to replace blue for black! I had my Mizuno Blue Rage woods for 18 years, time to upgrade according to Dave, my GolfTec instructor. 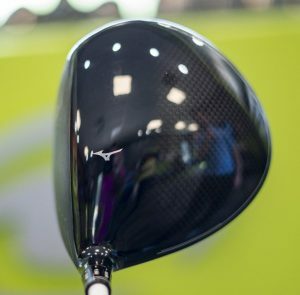 It looks like this is the best Mizuno driver to date. I would like to try one and see what it could do for a weekend golfer like me.